There is no greater success for a company than to be recognised as a leader in its field that greatly contributes to a country/state economy by having the ability to create new jobs, promote its nation on a global scale and support its community in which it operates. 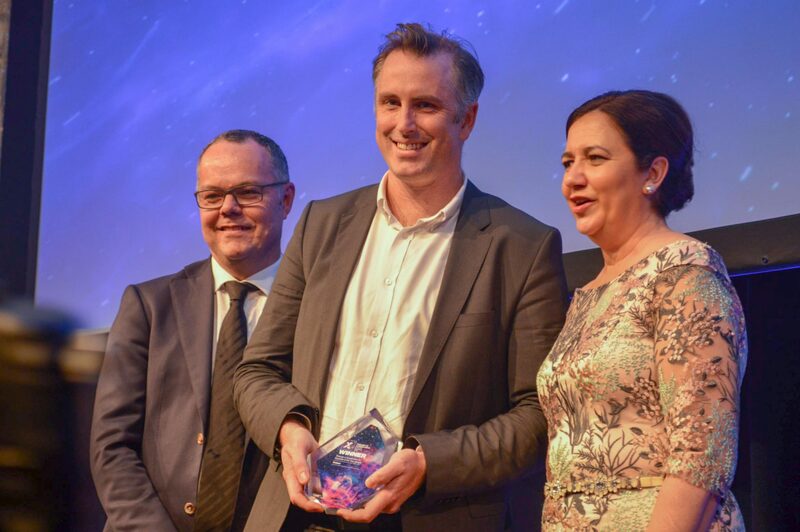 At this year’s Premier of Queensland’s Export Awards, Tritium – a world leader in electric vehicle chargers manufacturing – was awarded the Queensland Exporter of the Year Award and the Manufacturing Award in recognition of the company’s success as a manufacturer. “While the Australian EV market continues to expand, global markets, particularly in parts of Europe and in the US, are far advanced and so 98 per cent of our business is exported. It has been very satisfying to compete so successfully on the global stage and I thank all our team and our supporters in Australia for making this possible,” said David Finn, Co-Founder and Chief Executive Officer of Tritium, in his acceptance speech at the gala dinner in Brisbane last week. Tritium has had an amazing year; the company unveiled its world-beating Veefil-PK high-power charger which can add 150KM of range to an EV in just five minutes; inked a deal with the IONITY network to deliver the Veefil-PK to 100 sites across Europe and installed the Tritium’s 50th fast EV charger in Australia. Established in 2001 and based in Brisbane, the company’s EV chargers have been deployed in 26 country, while in Australia, Tritium controls over 70% of the market.